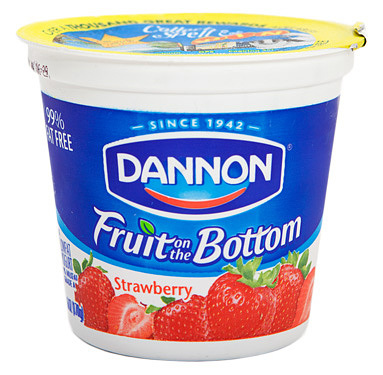 Strawberry Yogurt - DANONE GESELLSCHAFT M.B.H. Skim milk, sugar, cream, modified milk ingredients, strawberries, modified corn starch, pectin, natural colours, natural flavour, active bacterial cultures, vitamin D3. Made with vitamin D fortified skim milk.